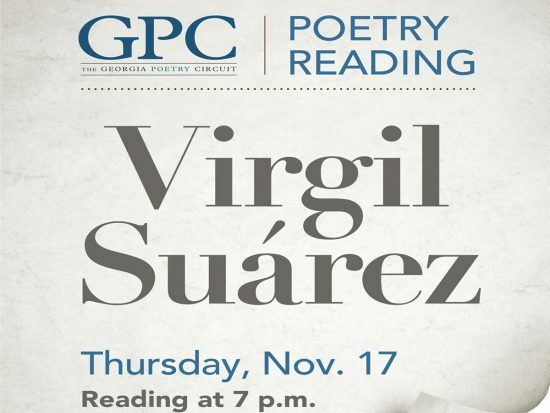 Noted Cuban-American poet, novelist and professor Virgil Suárez will offer a poetry reading on Thursday, Nov. 17 at 7 p.m. in the IT Building, room 1005. Suárez, a professor of English at Florida State University, is currently working on a new collection of poems called “Indigo.” His most recent publication was a short story collection entitled “The Soviet Circus Comes to Havana” and “90 Miles: Selected & New Poems.” Suárez will read selections from both during the event. “Suárez’s poetry, novels and short stories address the Cuban-American immigrant experience, so his campus visit is a wonderful opportunity for students and the public to expand their interests in not only creative writing, but also writing about immigration, identity and family, particularly in Latinx communities,” said Christina Olson, assistant professor in the Department of Writing and Linguistics. This poetry reading is sponsored by Georgia Southern University and the Georgia Poetry Circuit, a consortium of 10 Georgia colleges and universities working together to bring three poets of national and international reputation annually to all members’ campuses, providing an important access to the literary arts for Georgia residents across the state. The event is free and open to the public. Books will be available for purchase at the event. 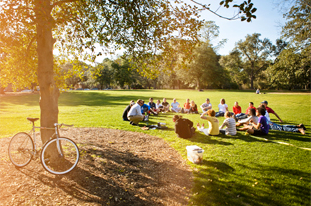 For more information contact Christina Olson at colson@georgiasouthern.edu.